Second visit, did not disappoint. Food was absolutely amazing!! Excellent food, lovely staff very friendly and a great atmosphere. Service was fantastic, felt very well looked after from the start. Nice food but cramped and chaotic in the restaurant. Ended up going to the bar to pay the bill after waiting 25 minutes and asking 3 different staff we were ready for the bill. Not great. We live in Peterborough, and come to Anoki mainly when we are going to a show, normally 3 or 4 times a year. as ever we had a fantastic meal, and would come to Anoki more often if we lived closer. in the past we have brought many of our friends to eat at the restaurant, and no-one has been disappointed. It was our first visit and we are foodies we don't mind a wait or paying for good food and didn't come to your restaurant because of the offer. Immediately took a dislike to all the flyers with 25% off everywhere in the restaurant. I looked at the menu at the inflated prices and could see that you'd added 25% on to then take it off again. 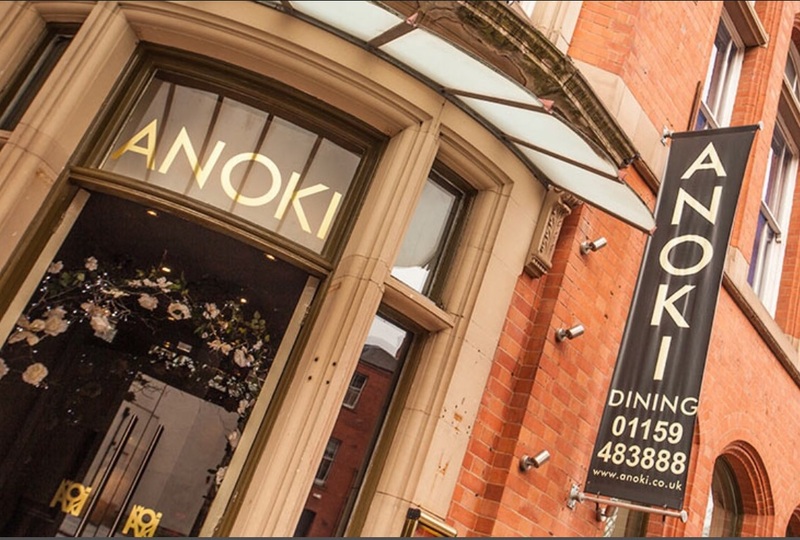 Compared to the prices of other great restaurants in nottingham that don't use gimmicks to get you through the door. The food was ok no better than the Laguna or Cumin and I certainly wouldn't pay your full price for your food it's not that good. I felt rushed to vacate the table so I shall not be coming back. 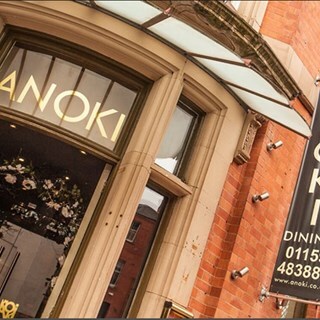 I absolutely love the food and setting at Anoki and the staff are so friendly and helpful. By far my favourite Indian restaurant! We were quite late on a Thursday night, so the atmosphere was a little subdued, but I'm sure it is rocking at busier times! Food and service were excellent. Super food, great service, loved it! We dined here with friends at the weekend and all thoroughly our meal. The staff were extremely helpful and friendly. Highly recommend this place. Had a wonderful birthday meal with all the staff did. Am raving about it to all my friends. Wonderful as ever. Food beautiful, staff attentive and polite. Love it here!